Joan Didion, modeling at eighty years old. Age, age, age. Lately, it's been constantly on the back of my mind. I'm going to a new yoga studio where I'm nearly twice the age of the instructors and the attendees. I find myself feeling like an outsider in this tribe of young hot yoga nymphs (hot class temperature and hot cute factor). I wonder, what do they think when they see me? How old do they think I am? Why do I care? Why is it so hard to stop thinking these questions? Here I am in a yoga class de-centering myself with self-critical thoughts. How old am I? I've been trained by my auntie to never reveal my age. She looks a lot younger than her actual age and I'm sworn to secrecy to never reveal the number. I'm told I look younger too. If the question comes up, I just smile and move on. And now that I'm of a certain age, I find myself reflecting on what I once looked like and where I could be headed. And what is a certain age? It's the age when you hesitate to reveal how old you are. I think I'm there. The fashion magazines I so avidly read don't help. Only the super young and skinny appear modeling the latest, making it more difficult to relate to or discern what looks would work for me. As much as I love scanning, scouring and tearing into my monthly fashion magazines, it's a challenge as I study the models and the outfits deciding what I could wear. Models have always been many inches taller and thinner but now they are also many years younger. The mental gymnastics for me to imagine myself in a certain look can get exhausting. Where are the ideas and inspiration about what the cool women around my age and older are wearing? Perhaps there's hope. Perhaps there is a glimmer. In the last few months, there's been a mass media trend of using older women as "the face" for a few fashion and beauty brands. It definitely works to get attention. I hope that it becomes more than a flavor-of-the-month. We don't have expiration dates stamped on our foreheads, maybe this is the beginning of the end of that notion. Maybe this is the beginning of a democratization of who we see in the fashion pages; all ages, sizes, shapes and colors. And always expressing great style and panache. Wouldn't that be fun? 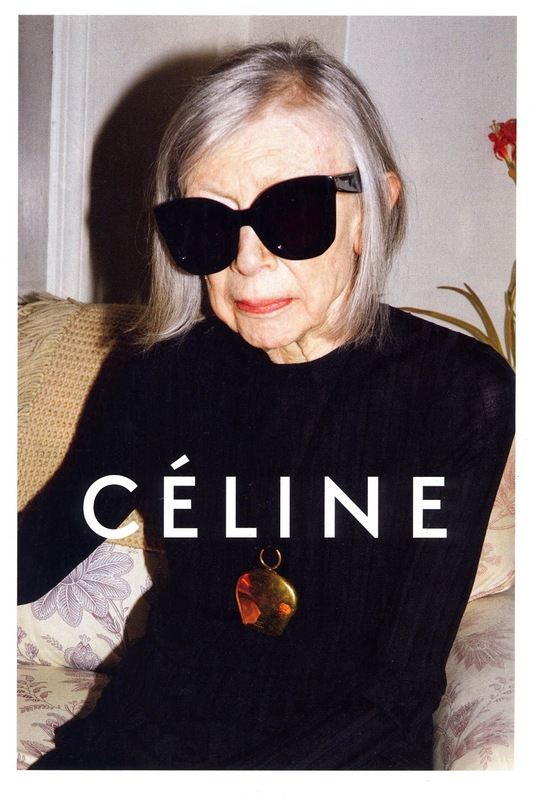 Most recently, 80-year-old Joan Didion is in ads for Celine's Spring campaign. While she definitely looks like an older person, she also looks cool, hip and sophisticated. 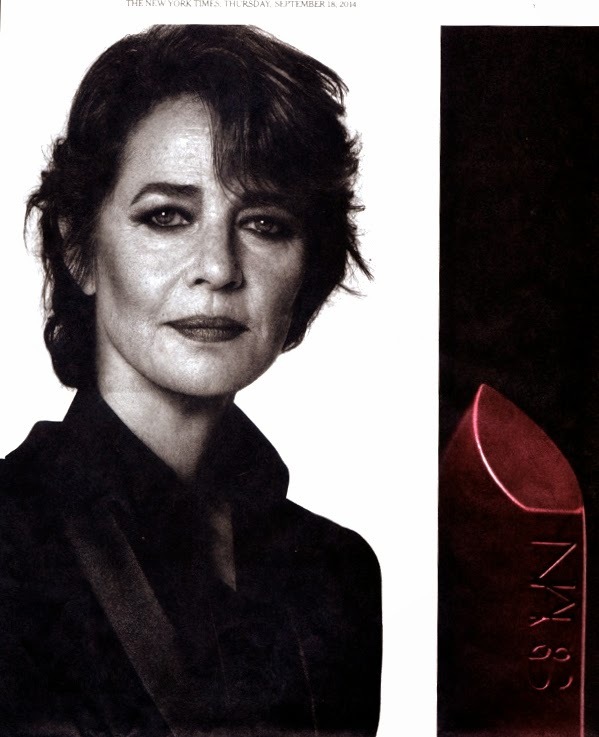 One of my top style icons, Charlotte Rampling, is now the face for NARS. She is sixty-nine years old and she has eyes with a million stories to tell. Jessica Lange is modeling for Marc Jacobs Beauty and she'll be sixty-six in April. Tilda Swinton is her own fabulous unidentifiable creature, but even she has birthdays. Swinton is the face of Nars' spring campaign and she is fifty-four. 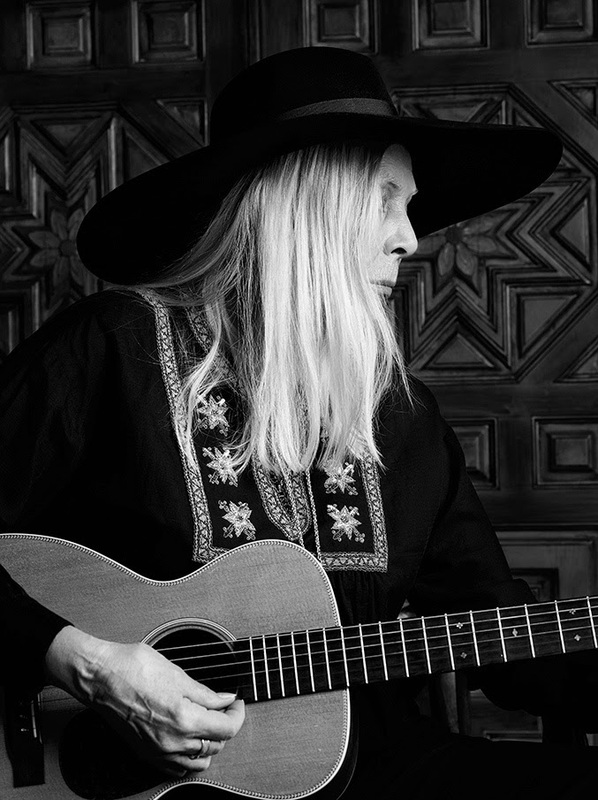 Joni Mitchell is seventy-one and is modeling for Saint Laurent's 2015 ad campaign. 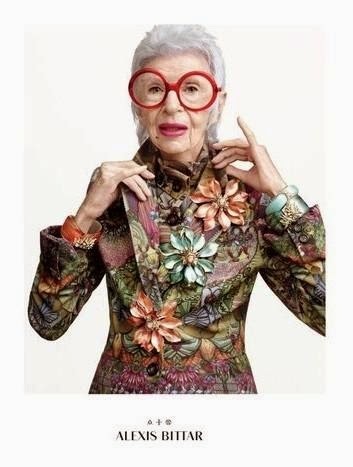 And the indefatigable fantastic fashion peacock, ninety-three-year-old Iris Apfel, is modeling for Alexis Bittar. And she does it so well. I remember in 1996 when Isabella Rossellini was fired as the face of Lancome. At forty-four, she was considered too old. 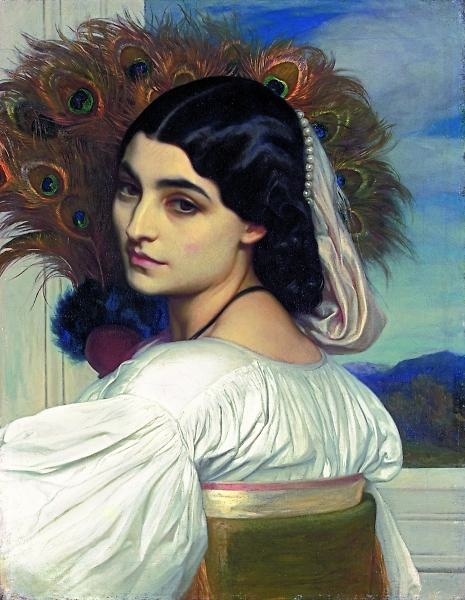 Today, she would be the youngest of the older models. All these women are thoughtful, intellectual and beautiful in multi-dimensional ways. They are not just selling the look. They each have qualities that inspire me to be and look as strong and bold as I dare, no matter what age.